The “World is coming,” said the deputy secretary of Kililana Farmers Association during our LAPSSET conflict risk mapping exercise in old Lamu Town on Kenya’s coast. The secretary was referring to the massive infrastructural development project which will traverse most of northern Kenya. It is called the Lamu Port South Sudan Ethiopia Transport (LAPSSET) corridor. The aim of the corridor is to incorporate the north of Kenya – which is synonymous with the lack of development – into the country’s national economy and to deepen East African economic integration. 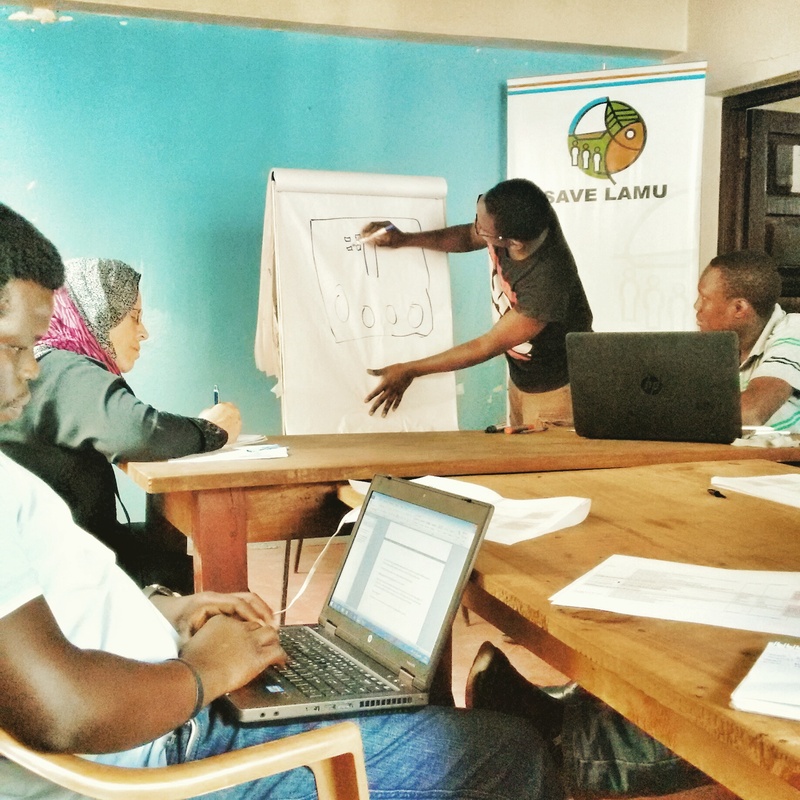 Spatial Collective is working with the Danish Demining Group to map potential conflict and public security risks stemming from the construction of the LAPSSET corridor, with specific focus on Lamu County, and particularly on Lamu Port. Lamu Port is one of the components of the LAPSSET corridor. The port will be built in Manda Bay, close to old Lamu Town, and will consist of an oil refinery, transport system, resort cities, airport, coal plant, the port itself and other infrastructure. Due to the development of the port, the population of Lamu County is predicted to swell five to ten times its current size, according to some estimation. This is what the secretary of Kililana Farmers Association meant when he said that “The world is coming.” The construction of the port is bound to have major impact on a relatively unspoiled environment of Lamu County, and on UNESCO’s World Heritage Site – Lamu Old Town. 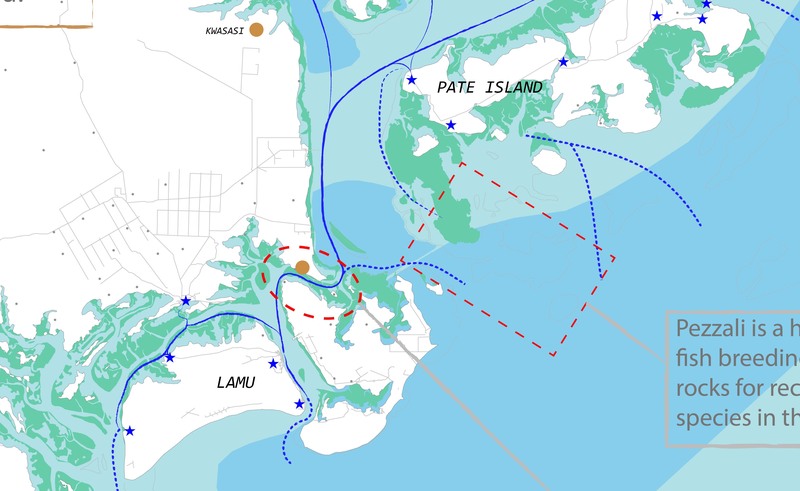 Spatial Collective was asked to produce a set of visualizations to depict how the development of Lamu Port will impact the population and the environment. A number of stakeholders and groups have concerns that, if not handled properly, the project will lead to conflict among already marginalized communities in the area, or between the communities and the authorities. The ultimate aim of our work is to create and inform multi-stakeholder dialogue and to strengthen efforts to prevent, mitigate, and manage conflict and public security risks associated with the LAPSSET corridor. As one can imagine, this is by no means a small task. To explore the interactions between the proposed development project and its impact on the livelihoods of communities, we had to start almost from scratch. 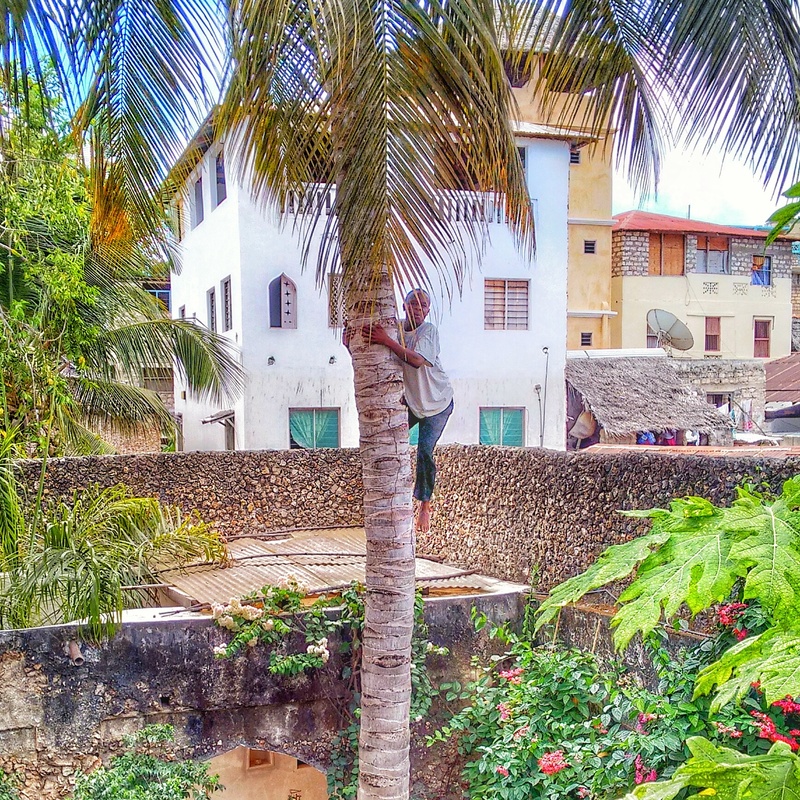 First, we identified and geographically located all of the communities living in Lamu County. Second, we visualized their livelihoods, migratory patterns, and inspected their relationships to natural resources and heritage sites. And, third, we collected information on how their lives will be affected by the construction of the port. To draft maps of communities in areas that lie in the periphery of the country’s development initiatives, we had to first determine what data were already available. Working with a DDG consultant, we plunged immediately into a lengthy search for secondary datasets, only to discover a lack of relevant geographic data. It is important to note that the type of data that we required was somewhat different from the datasets which can be found in the government departments and on open data portals. We were interested in more than just knowing spatial locations of amenities or understanding county wide indicators. Our aim was to depict the often-invisible societal relationships and community specific patterns, such as, migratory movement patterns of pastoralists, main market sites, transport routes, fishing routes, relationship to natural resource, and personal opinions. The data that were available often didn’t fit our needs. Another problem we faced was that many of the datasets that do exist, especially government data, are sometimes hard to acquire, old, and inaccurate. For example, even something as straight forward as the locations of the settlements in the county were hard to come by, and the data that were available were not particularly accurate. Many villages featured in the Shapefiles – available for free online and on old topographic maps – were already deserted, and locations of some of them were highly inaccurate. All of this called for considerable improvisation. The challenge was made greater by significant political challenges. The majority of the county was still under curfew due to recent security concerns. This meant that any in-depth on-the-ground data collection was pretty much out of the question. To complete this project – which is still ongoing at the time of this writing – we used a series of methodologies. The central piece of our methodological approach was participatory mapping, supported by focus group discussions, interviews, and a mobile household survey. 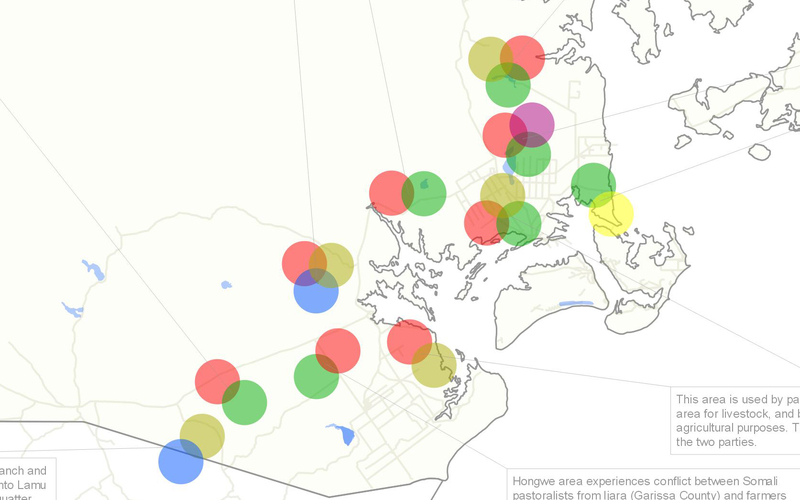 Each of these deserves a blog post on its own but, for now, we want to talk about the initial steps we undertook in order to prepare a series of base maps which were later used as base layers in the interviews with stakeholders. We designed a plan that would help us generate as much relevant information as possible prior going to the field. First, we gather-up what we could, including Shapefiles, old topographic maps, surveys, publications, and other studies. 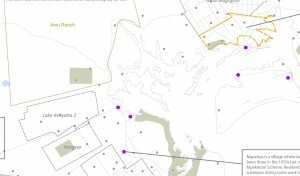 Second, we crosschecked various geographic datasets – Shapefiles, old topographic maps and satellite imagery – to determine the relative locational accuracy of some of these datasets. Third, we read through hundreds of pages of reports, publications and studies, in order to extract any geographic reference concerning Lamu County and its inhabitants. 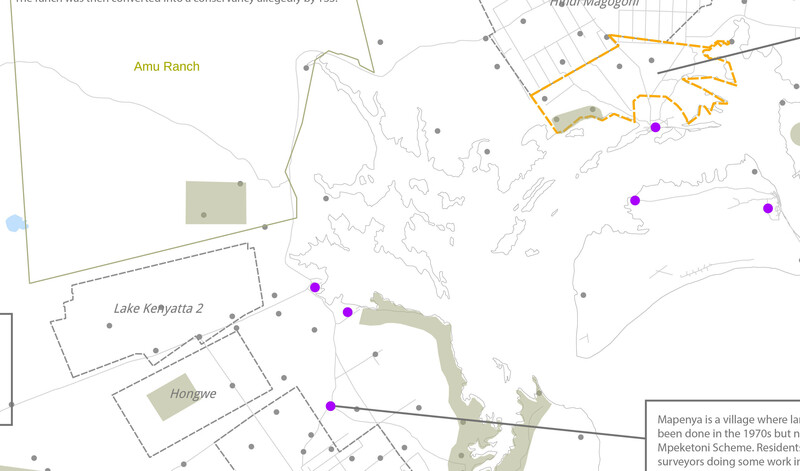 Fourth, we then digitized all of the geographic references that we could pinpoint with certainty. Locations which we couldn’t identify we stored in a list for further inspection through consultations with stakeholders on Lamu. Finally, these initial steps helped us to prepare a series of drafted maps which we then used as a base layer for further on-site data collection through interviews, focus group discussions, and participatory mapping. We used these final, more qualitative methods to add additional data to the maps in order to produce the final products: a series of maps depicting communities in Lamu County, their livelihoods, resources, land use, migratory paths and transport routes, as well as their opinions, impressions, and assessments of the potential benefits and hazards surrounding the port. Our experience in working on this project was significant in showing us that no matter how remote an area is, with little imagination and problem-solving skills, there’s always a way to acquire geographic data. By using a combination of qualitative and quantitative methods we were able to produce a comprehensive geographic dataset about the communities of Lamu County. We are currently in the process of finalizing the maps so more about this project is coming up in the future blog posts. Bellow are some of the screenshots of initial visualizations.